mouth), appendix (a small, fingerlike projection from the large intestine), and lymph nodes. 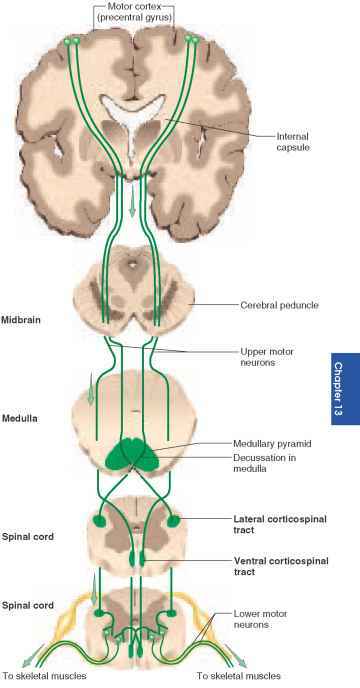 The lymph nodes are bean-shaped organs in the head, neck, chest, abdomen, and groin. 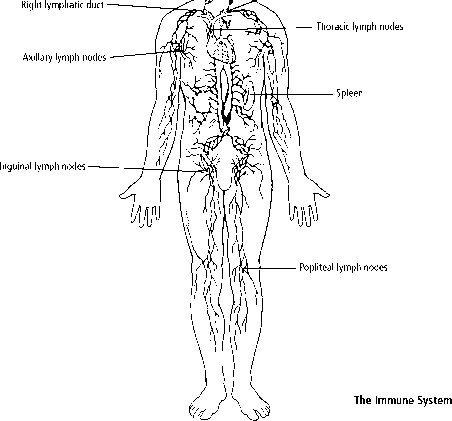 They filter a watery fluid called lymph, which bathes the body tissues and contains lymphocytes. Once a foreign cell or infectious microorganism is detected, your body begins an immune response to defend itself. Several different types of white blood cells travel to the site of infection to stop the invader from going any farther. White blood cells called phagocytes surround the invading microorganisms and destroy them, dying in the process. Other white blood cells, called mast cells, release chemicals at the site of the infection to trigger the swelling and redness that are characteristic of inflammation. If the invading microorganism survives, it is subjected to a second attack. The body sends more sophisticated white blood cells, known as B lymphocytes and T lymphocytes (also called B cells and T cells), to the site of the infection. B lymphocytes can recognize specific microorganisms and produce proteins called antibodies, which are specially designed to destroy these microorganisms. Some B lymphocytes will become "memory cells," which will recognize the invading microorganism if it tries to enter the body again and will automatically produce antibodies to destroy it. There are two types of T lymphocytes—killer cells and helper cells. Killer T lymphocytes destroy microorganisms that have infected the cells of the body by attaching to the invading microorganisms and releasing chemicals that destroy them. Killer T lymphocytes also rid the body of cancer cells. Helper T lymphocytes protect the body from both invading microorganisms and cancer cells by enhancing the actions of the killer T lymphocytes and by controlling various aspects of the immune response. 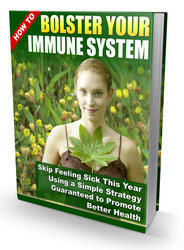 Some people may lack one or more components of the immune system, or a component may not function properly. This is called an immunodeficiency disorder, which means that the person cannot adequately fight off infection. In other people, a specific substance such as ragweed pollen or saliva on cat dander (flakes of dead skin), which is harmless to most people, can provoke an inappropriate immune response. This is commonly called an allergy. In some other people the immune system mistakenly attacks the body's own cells and tissue, resulting in what is known as an autoimmune disease. One such disease is type 1 diabetes (see page 365).